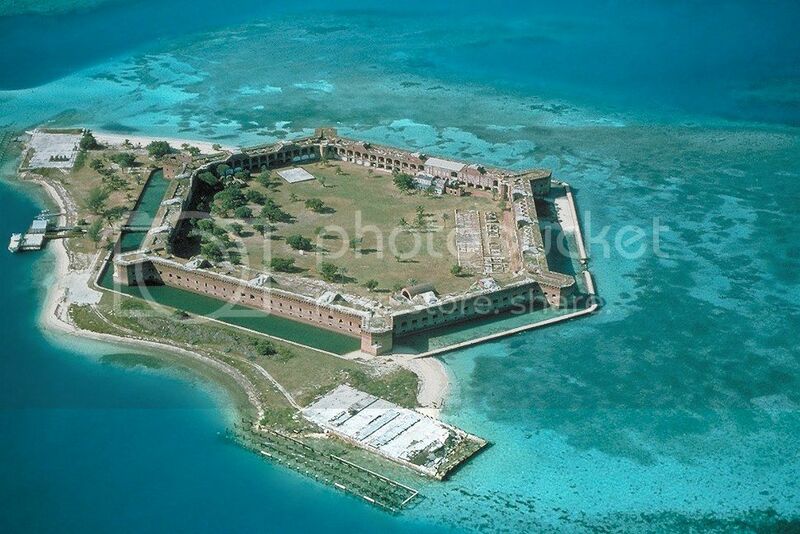 Fort Jefferson is on Dry Tortugas. While the water is amazing, there are lizards running around everywhere, and its 80 F everyday of the year, there are only a limited number of palms/subtropicals. Mostly coconut palms, scrub cactus, and a few Caribbean trees. Otherwise it could pass for a tropical desert! It's VERY dry there. It's a popular place for snorkeling and scuba divers.